What a writer does when he’s not writing. A writer when he’s not writing. The life of a writer is rarely all about writing and along with working on novel number four, the last month or so has been a frenzy of activity. Once the Great North Run was out of the way, the focus was on culture. As mentioned in a previous blog, I was proud to be selected as one of the 21 Community Champions for Sunderland’s 2021 UK City of Culture bid. I appeared in the Sunderland Echo and it is fair to say that I generated a lot of discussion on their Facebook Page. Next up was Putting Southwick On The Map. This is a project I have been working on with Sunderland University and various artists, Southwick residents and community researchers. We have mapped culture past and present in Southwick where I grew up (and where Leg It is set). The research was fascinating and it threw up loads of stuff I didn’t know about a place I lived in for the first twenty-two years of my life. During the promotion I appeared on Arty Parti on Spark FM (my second appearance in a month) in what was turning out to be a month of media mayhem. The launch was on Wednesday 20th September and I played a large role in presenting the map and discussing the stories I had written alongside the children of Southwick Community Primary School and SNYP. Over one hundred people turned up the launch itself but little did I know that the Echo was live streaming my presentation on Facebook. It gained over 9,000 views and some very interesting comments yet again. We did get a very good write up in the Echo the next day with my face appearing once more. The map and information about it can be viewed here. On the Friday, when I would usually be attending a meeting in Southwick, I was at Centrepoint for some safeguarding training that was very useful and enlightening. Last year I did the Sleepout at the Stadium of Light, running a small writing workshop encouraging people to talk about what was in their bag and getting them to think about what they would have if they were homeless. It was a great success and I’ve been asked to go back this year where I hope to meet Sunderland legend Kevin Ball. Anybody who is aware of his playing style will know that I am at risk of being two footed in the middle of the night if I snore like I did last year. Once that was over it was up to Penshaw Monument for a photoshoot for Sunderland 2021. The weather didn’t look great, it was lashing down, but eventually the sun came out and we got some great shots with a fantastic turn out. On the Monday it was time for the radio again, this time BBC Radio Newcastle alongside fellow Holmeside Writer Ray Hopkins. We were discussing how the Holmeside Writers group had changed our lives and we may even have said some nice things about Iain Rowan (hopefully they’ll be edited out). We recorded the interview in Holmeside Coffee however the sound wasn’t great so we reconvened at Ray’s house yesterday to do it all over again. I’m sure Steve Drayton is sick of hearing our voices and he only needs three minutes out of the hours of talking we did. In the middle of last week my face popped up in the Echo again. This time it wasn’t really for something I’d done but it was to promote the inaugural Professorial lecture by Professor Trish Winter who I’ve been working with on Putting Southwick On The Map. Part of her lecture was about the project and I even got named checked at one point. I don’t think there’s ever been a point in my life where I’ve thought I would attend an inaugural professorial lecture never mind get mentioned in one. I probably also never thought I would get my calf grabbed by an elderly ‘dance activist’ on the same evening but that’s another story for another time. In what was becoming a daily occurrence, I was in the Echo yet again. 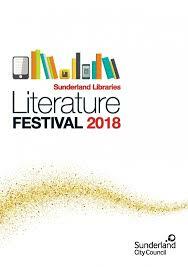 This time to promote the Sunderland Libraries Literature Festival that I am appearing in this month. I will be at Houghton Library on 17th October (10.30 – 11.30) and Sunderland Central Library 23rd October (14.30 – 15.30). I would love to see you there. There loads of other great stuff on and I would especially recommend Corrie Blogger Glenda Young. 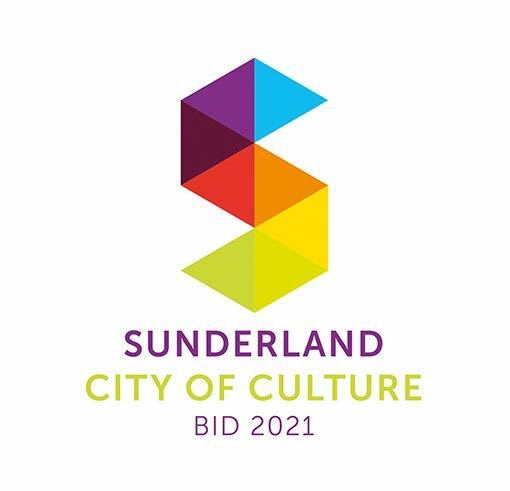 To round off a hectic month was the submission of the final bid document for Sunderland 2021 on Friday. To mark this was a Twitter Thunderclap and I had been promoting this far and wide. At one point #Sunderland2021 was trending second in the UK and it had over 2.5m impressions showing what a fantastic response it has had throughout the city and beyond. When you have the Royal Philharmonic Orchestra and Danny Boyle backing you, you know you must be doing something right. And yes, you’ve guessed it, I was in the Echo again. You can just about make me out on the front page in the group scene. Look for the tallest person in the picture and I am stood right behind him. You’d think I’d learned nothing from my years at Roker Park. I got a bit better exposure in the middle page spread and I’ll admit, I actually bought a copy of the Echo that night as I believe it will one day be a historical document.